If you are going to Petrovac, popular tourist destination in Montenegro, and you have a request for a service taxi from Podgorica airport to Petrovac, please feel free to contact us. We will provide your voyage from Podgorica to Petrovac at the highest level, but at affordable price of 35 Euros valid for up to four passengers. Petrovac is a coastal city, with a 700 meters long sandy beach, and it is located at the foot of Pastrovacka mountain, between Bar and Budva. During the summer tourist season it is very popular place for vacation of a large number of tourist, and transfer from Podgorica airport to Petrovac is our often activity. 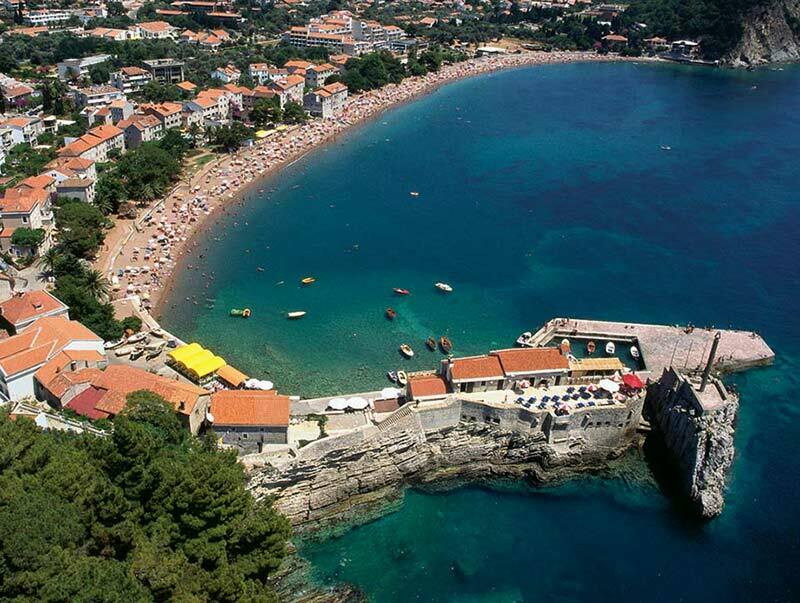 Petrovac is much less city than Budva, and it belongs to Budva municipality. 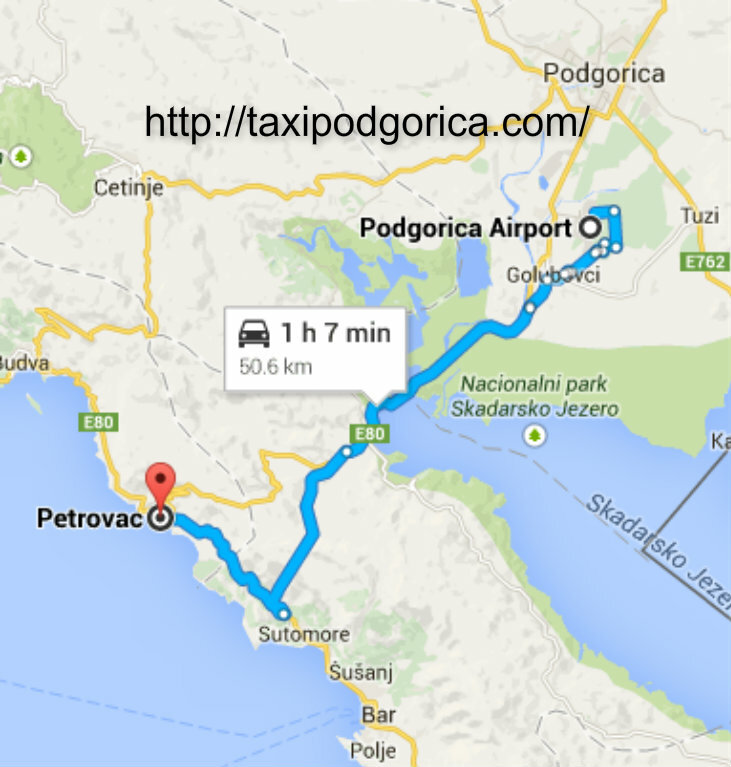 By taxi from Podgorica airport to Petrovac you can arrive using two roads. One is mountain road, over Pastrovicka mountain, and second is tunnel road. No matter which way you choose, you will be in Petrovac in 45 minutes, if you book your transportation from Podgorica airport to Petrovac in advance. Mountain road is more curve, but by this road you will have a nice view on mountain peaks and national park Skadar lake. Using tunnel road for your journey from airport Podgorica you will rich Petrovac passing through 4,2 km long tunnel, and via small place Sutomore. Transfer by taxi Podgorica airport to Petrovac every year is an increasingly common requirement, because the interest of tourists to spend their holidays in some of the various categories of accommodation units in Petrovac is bigger, from year to year. In addition to the main beach, Petrovac has a small beach Lučice, which is among the most beautiful beaches at the Adriatic coast. When you book your transportation from Podgorica airport to Petrovac, our taxi driver will wait for you at the airport exit, holding a sign with your name. All our vehicles are new and comfortable, adapted to airport transfers. We offer to our clients cheap taxi Podgorica airport to Petrovac , but excellent service with professional taxi drivers, which will provide your transportation at the best way. Distance from Podgorica to Petrovac is about 55 km and journey takes about 45 min, no matter which way you choose. Taxi from Podgorica to Petrovac cost 35 eur by mountain road, and 37.5 eur by tunnel road.